Wedding registry gifts are starting to include: Venmo. 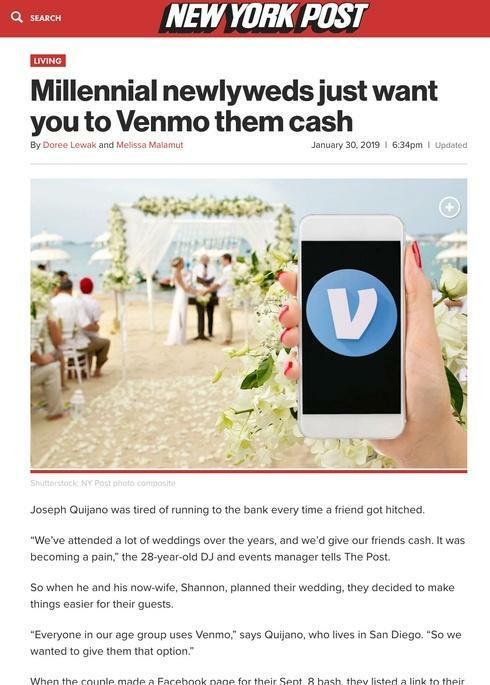 That's right, guests are starting to simply Venmo their 'gifts' to newlyweds, reports today's New York Post. While at first glance this bypasses traditional gift giving routes like a store's gift registry, there is a silver lining. Your store can accept Venmo. Encourage brides to buy goods from you via Venmo. This adds a step, but the bride getting a nice gift (and the money getting to your store) is all that counts.